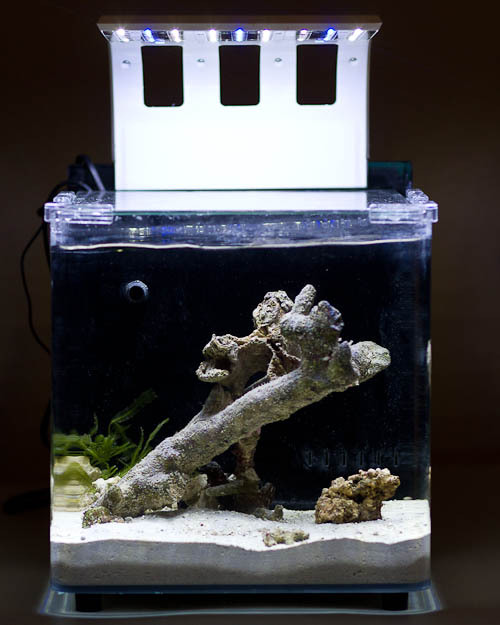 For those who interested to keep a small saltwater reef tank, I found a very interesting tank from CAD Lights - Euro Pico LED reef system for you guys. 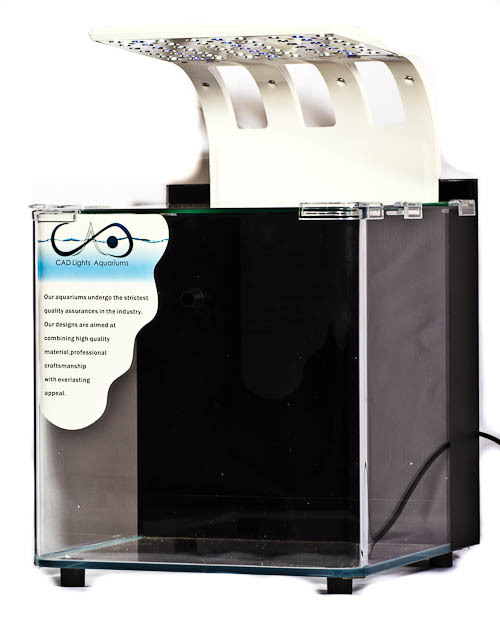 It come with different size; 4 gallon, 8 gallon and 18 gallon for you to chose from. The video below is a unboxing for the smallest 4 gallon. 3.8W blue and white LEDs max - should keep most soft corals happy. 110 GPH (gallon per hour) pump - no need additional power head for waterflow. Photo of the cycling the tank with 5lbs live sand and around 3lbs live rock. I am woking with the manufacture to see if I can get some discount to those interested buying the tank after watching this post. Please leave comments here to support and check this post again to see if there are any updates.